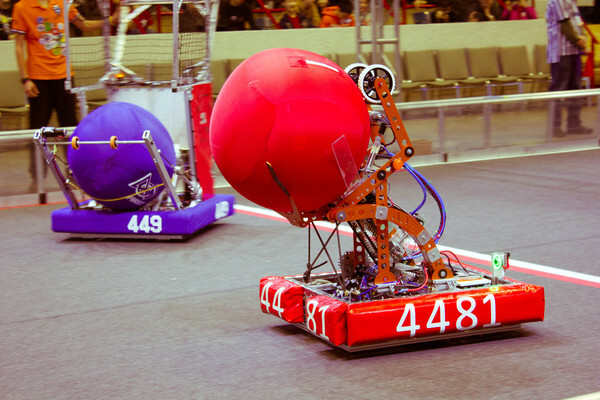 ​After our amazing experience of last year we went for the 2014 season back to the FIRST North Carolina Regional at Dorton Arena in Raleigh. Also this year we were able to visit FRC 122 the NASA Knights. The team now know as Impossible Robotics, were with us this season to learn about FIRST Robotics Competition. With team work and help from others we managed to finish our software and get through the robot inspection before our first match. It was a wonderful feeling when we saw our robot “Nightwatch” in action. We were surprised when we managed to get picked for an alliance and were able to play in the quarterfinals. In the end we finished at ranking 11 out of the 54 teams. We had a life changing experience and were very proud at our performance. We got the honor of winning the Engineering Inspiration Award. This meant that we were qualified for the 2014 FIRST Championship in Saint Louis. We want to thank all the teams, volunteers and organizers for an unbelievable great time.